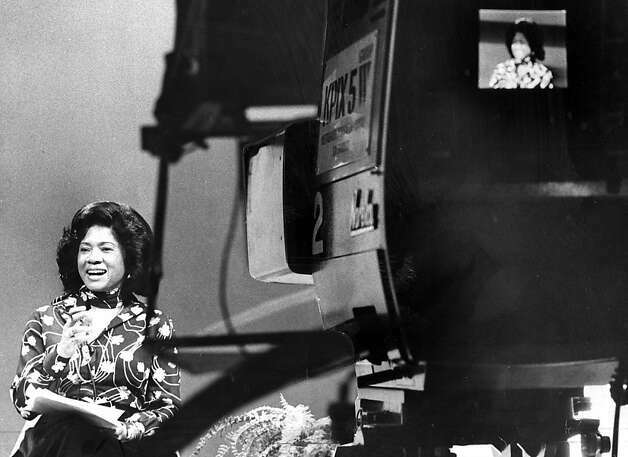 This site not only serves as venue to feature current Black Women in Broadcast, but will also highlight the women who pioneered in this industry. Their groundbreaking steps in their career helped to open the door to allow other women to follow in their footsteps. Here we will honor those women and take a closer look at their careers. She has won eight local Emmys and a number of Lifetime Achievement awards — including honors from the International Women’s Media Foundation, the National Association of Black Journalists’, and the Northern California chapter of the National Association of Television Arts and Sciences. Davis is also profiled in the Newseum, the world’s first interactive museum of news. I immediately knew that Davis should be our FIRST featured “Pioneer BWIB”. Davis, with a career spanning half a century, has reported many of the most explosive stories of her era, and along the way, she encountered a cavalcade of cultural icons: Malcolm X, Frank Sinatra, James Brown, Nancy Reagan, Huey Newton, Muhammad Ali, Alex Haley, Fidel Castro, Dianne Feinstein, Condoleezza Rice and more. In her new memoir, Never in My Wildest Dreams, Davis offers, “an unflinching account of her struggle to break into broadcast journalism at a time when stories of particular importance to African Americans and women rarely made mainstream newscasts. When news directors preposterously claimed that blacks couldn’t pronounce long words because their lips were “too thick to enunciate properly.” When a San Francisco station manager dismissed her from a job interview by explaining that he just wasn’t “hiring any Negresses.” In 1999 Belva Davis retired from full-time reporting at KRON-TV, but remained on the staff as narrator for the stations’ Documentary series for several years. Ms. Davis, we salute you, and your perseverance and determination to make your mark in this industry. We thank you for giving us footprints to walk in…you are a True Trailblazer.